Members of the Harlingen Consolidated Independent School District Administration, Board of Trustees and community gathered to witness the grand opening of its newest facility. “This facility will give our students a fantastic opportunity to perform in an outstanding venue,” said HCISD Director of Music Education Dr. Sabrina Quintana. 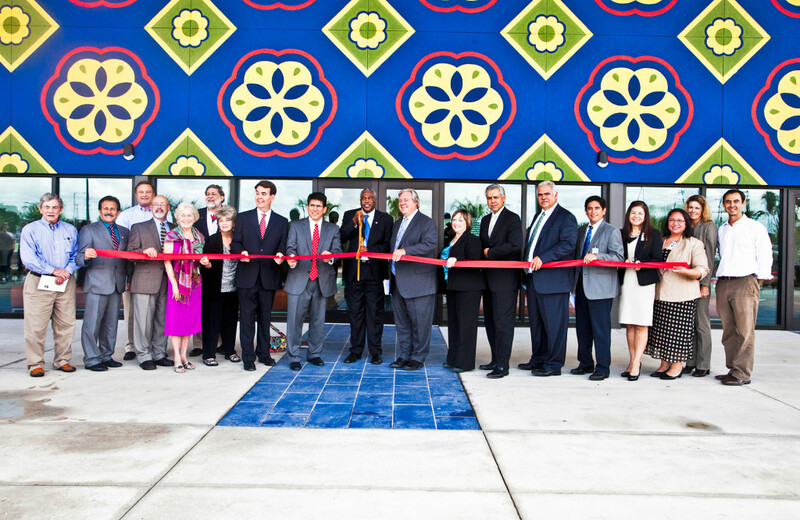 The district’s Performing Arts Center hosted its Ribbon Cutting Ceremony on Sept. 10. The facility, 3217 W. Wilson Rd., will now host the district’s band, orchestra, choir and theatre performances. It will also potentially be the location of future University Interscholastic League (UIL) competitions, and for scheduling music events for the city of Harlingen. The building is part of the voter approved 2010 $98.6 million bond. The building is part of the districts transformation, which has focused on exceling the Three A’s, which are Academics, the Fine Arts and Athletics. Superintendent Dr. Steve Flores says the PAC will allow students to discover their talents, and allow them to develop as well rounded individuals ready for success in the 21st century. The first glimpse of the Performance facility was during this year’s District Kick-off on Aug. 21. The building hosted the annual celebration of education, as well as performances by the high school Junior Reserve Officer Training Corps (JROTC), Secondary Teacher of the Year Keith Di Santis and fourth grade Austin Elementary Student Aaron Blount.